Buy Early and Get a Chance to Win a Free Sleigh Ride!! Trail Pass 2017 is virtually the same as last year with great discounts. They are easy to transfer as gifts for the Holiday Season. 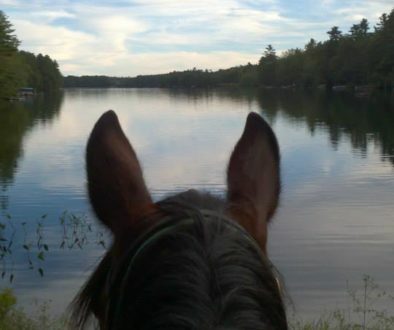 Give your loved ones memories at a unique place to enjoy horses any season of the year. Buy early and get a chance to win one of five free sleigh rides we are giving away. Read more about the contest below. Trail Pass Only Sold in November and December but Never Expires! 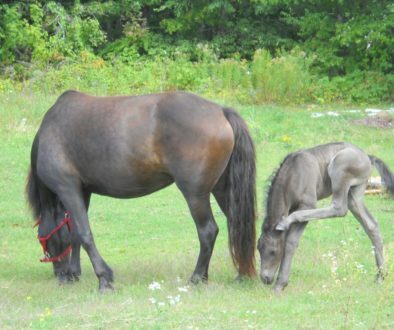 There are no changes to our very successful pony pass discount gift program this year. 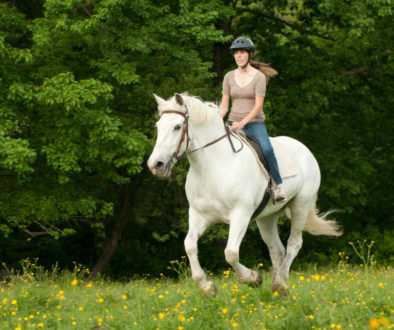 50% off any regular ride and it can be used for seasonal rides by paying the difference in price. Read the Pony Pass page for full details. Trail Pass Discount Deal. These gift cards never expire and can be printed in color or black and white. They are only available for purchase in November and December each year but they never expire. This year we are offering a raffle entry to the first fifty customers to purchase any number of Pony Passes. Once fifty have been sold we will hold a raffle that the horses will participate in and we will video so you can watch who wins on our Facebook page and Youtube. 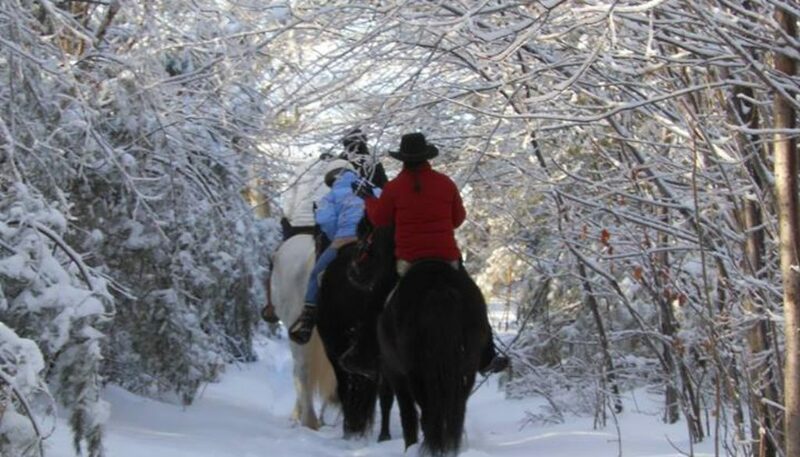 Five winners will get a free sleigh ride gift certificate to give as another gift or to use themselves. 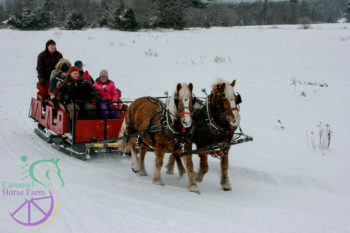 Read more about Sleigh Rides at Carousel Horse Farm.